﻿﻿Cerruti is an Associate Professor and Extension Specialist in the Department of Entomology at the University of Maryland. 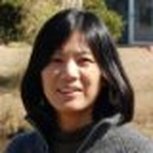 Dr. Chen is a post-doctoral soil scientist whose work focuses on cover cropping practices, greenhouse gas emissions, and plant nutrition. ﻿Dr. Leslie is a post-doctoral researcher examining crop diversification with trap cropping, push-pull systems and their effects on pest populations. His previous work includes examining the ecology of wetlands and agricultural runoff ditches. Armando is a PhD student whose work on cover cropping practices explores effects on arthropod communities, and weed suppression. Lauren is a Master's student whose work examines how co-planting insectary crops influences pest and beneficial insect communities. ​Veronica is a Master's student whose research examines how different post-harvest litter management practices in genetically modified field corn affect the degradation of Bt Cry proteins, and what roles temperature and soil type play in tissue decomposition and the degradation of these proteins. Hanna is a Master's student whose research looks at living cover crops and their effects on pests and pollinators in agricultural fields.